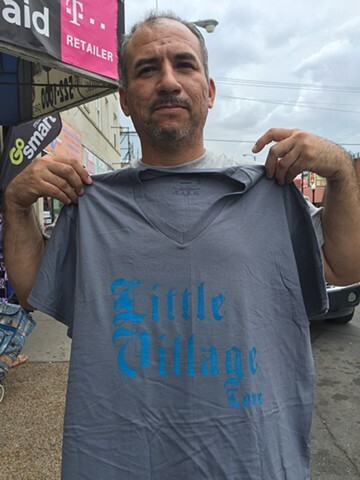 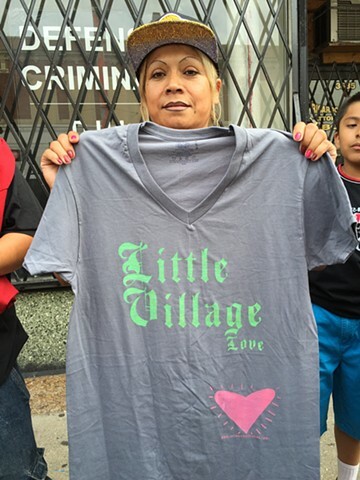 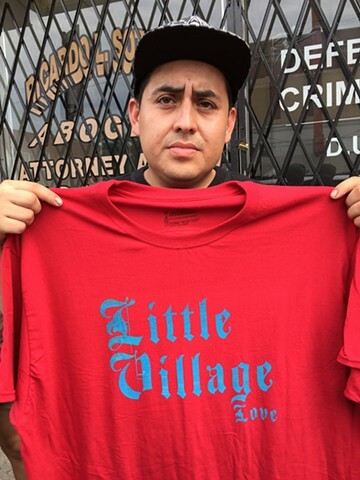 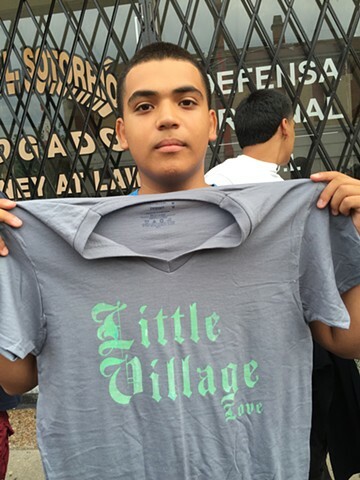 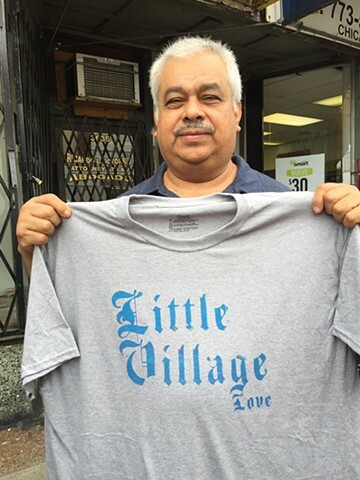 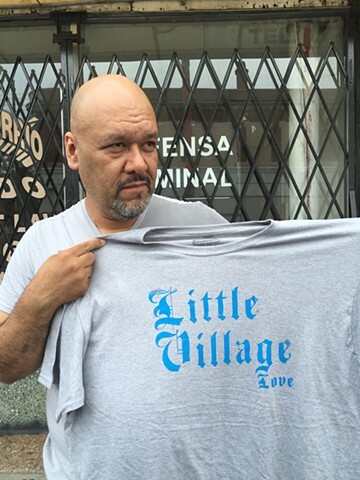 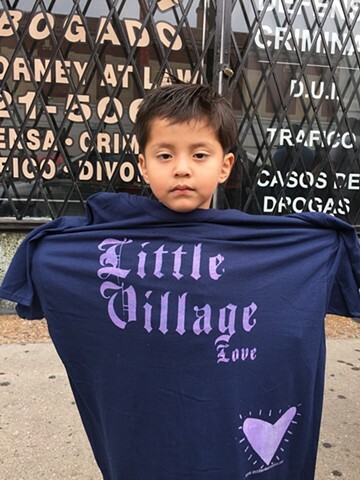 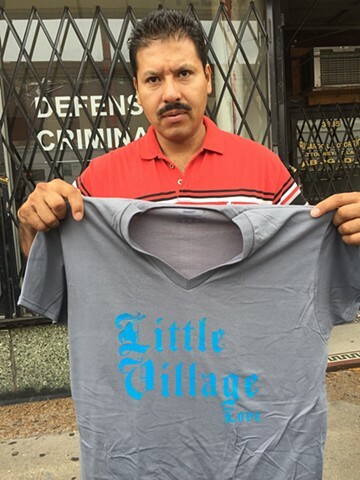 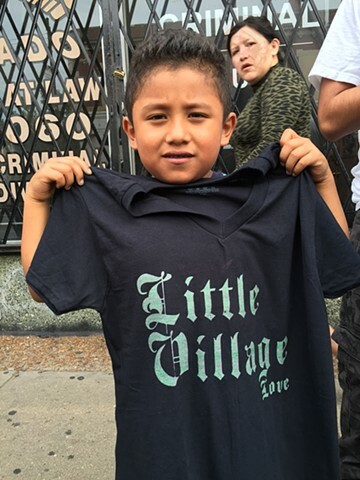 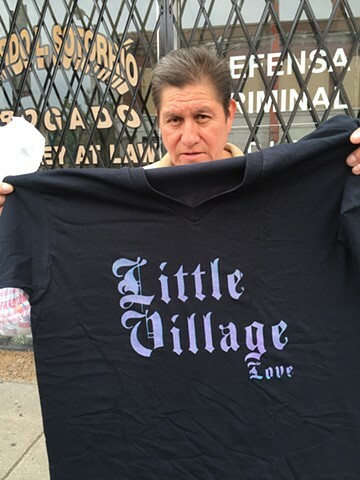 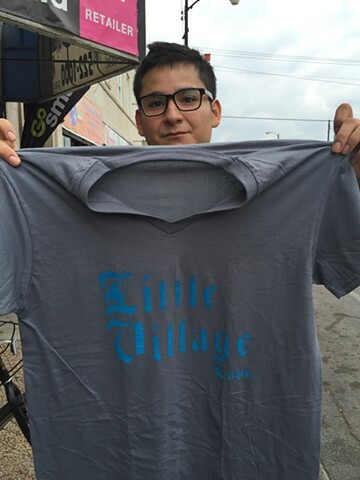 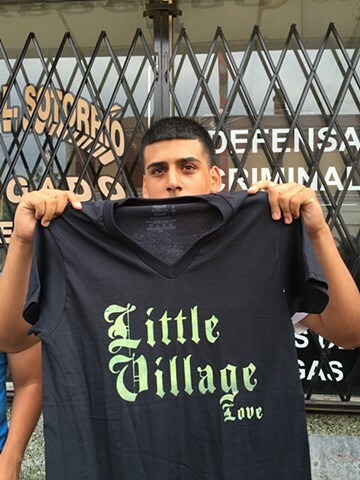 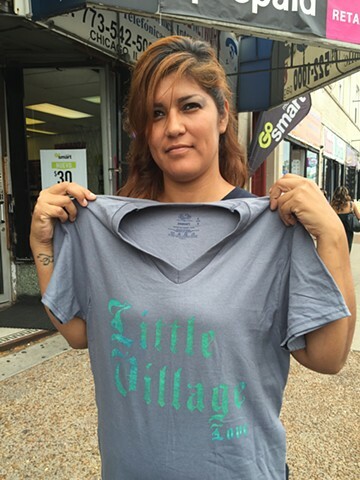 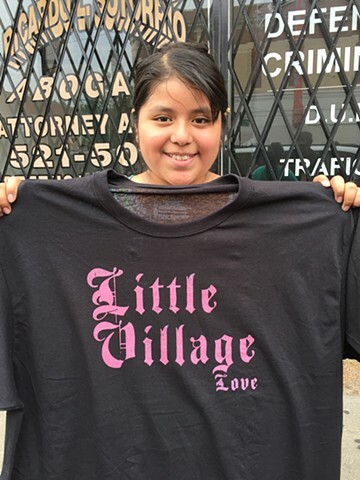 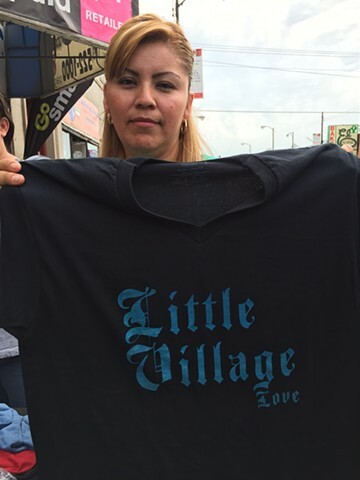 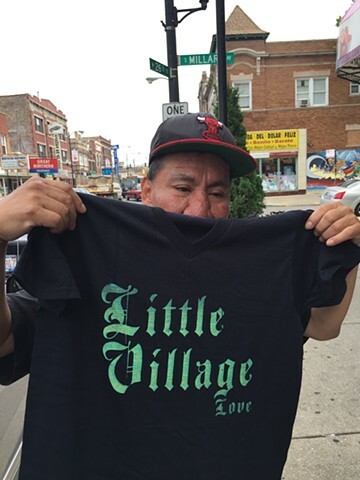 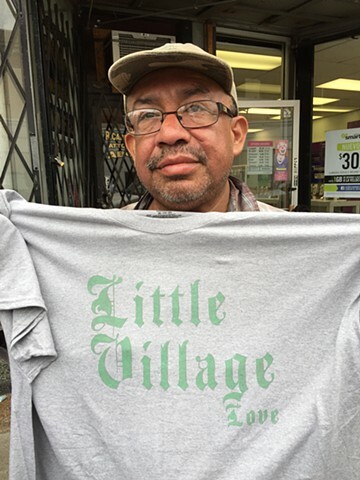 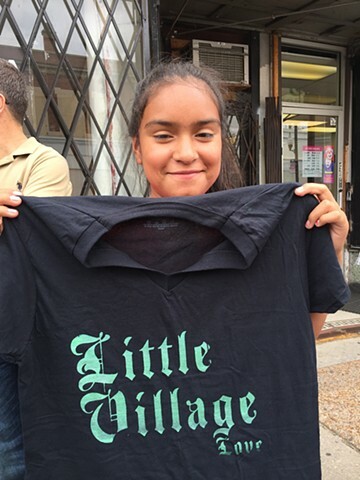 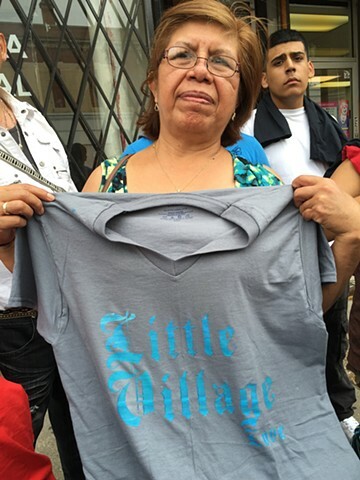 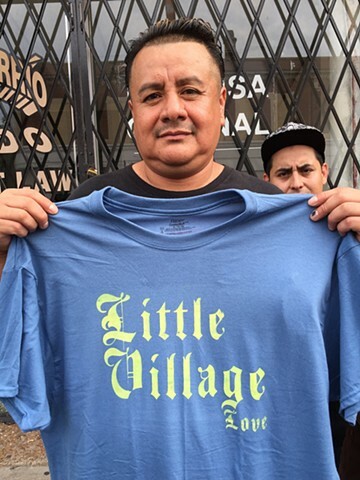 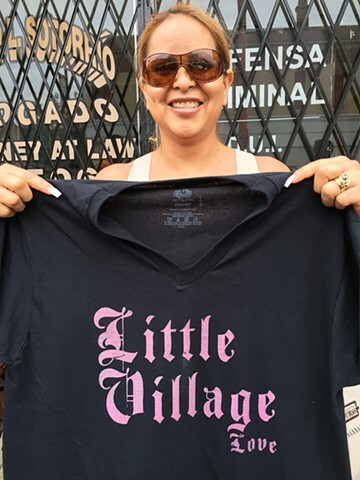 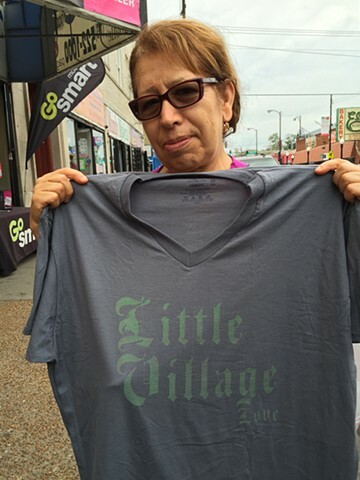 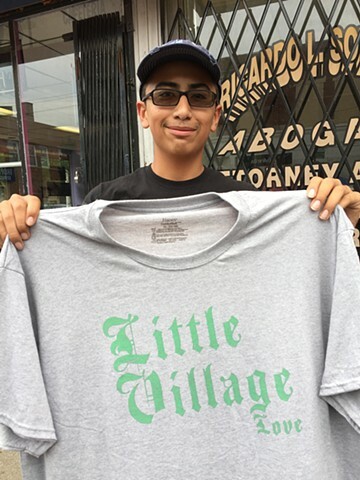 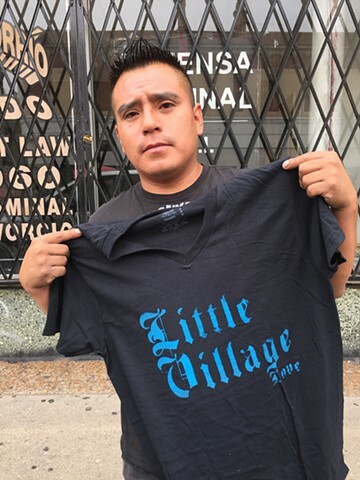 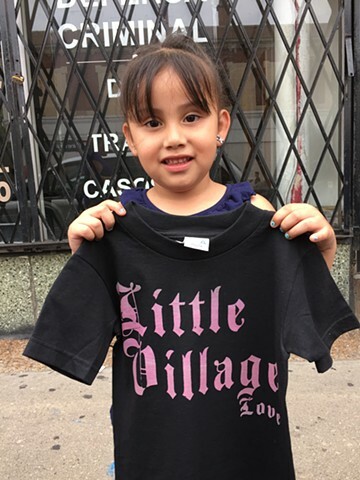 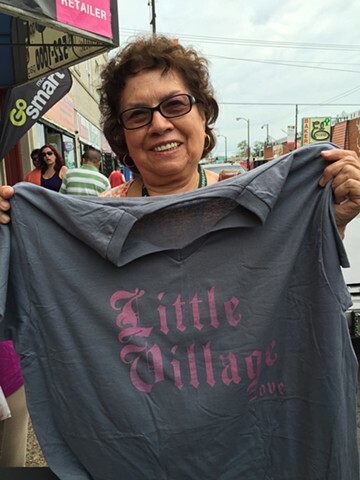 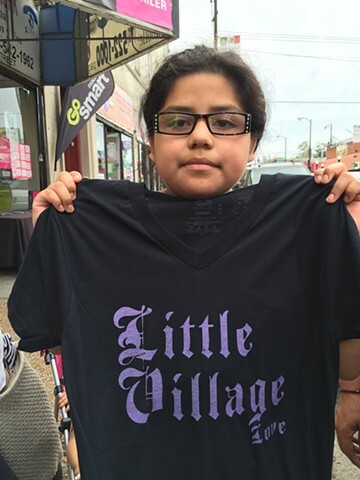 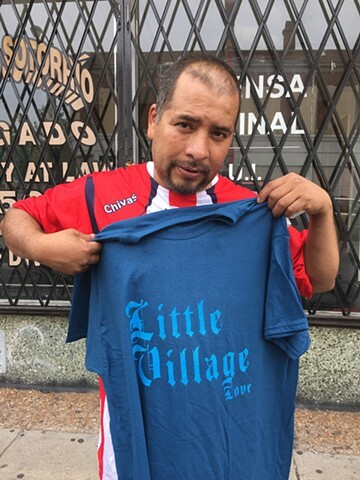 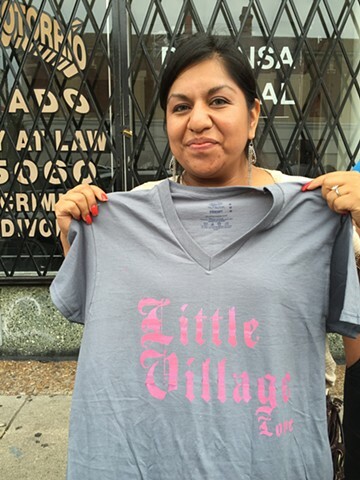 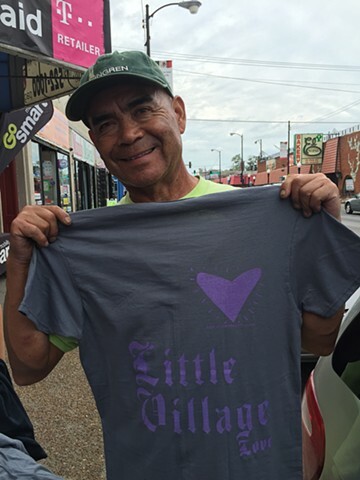 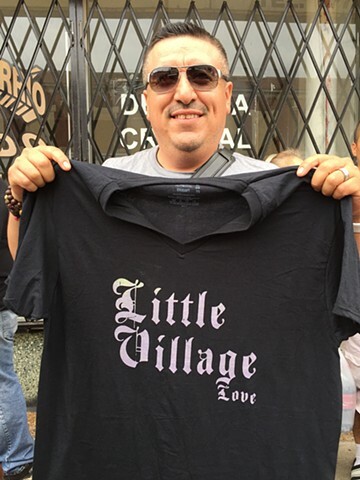 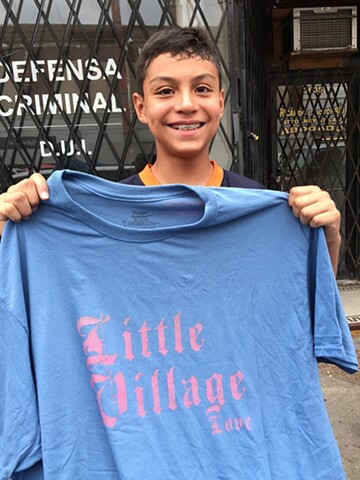 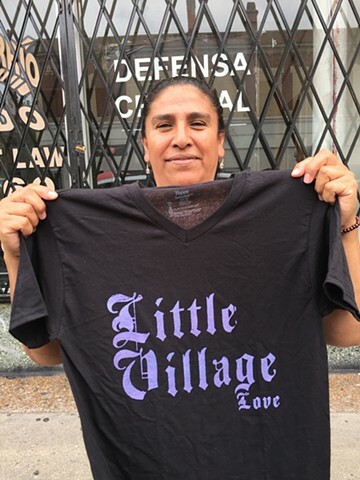 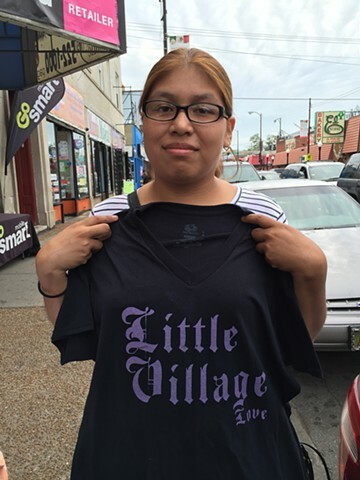 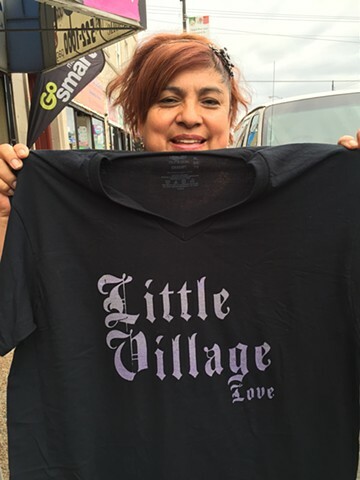 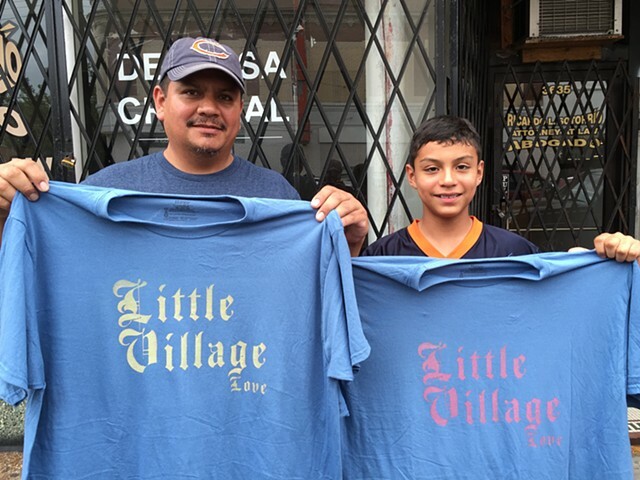 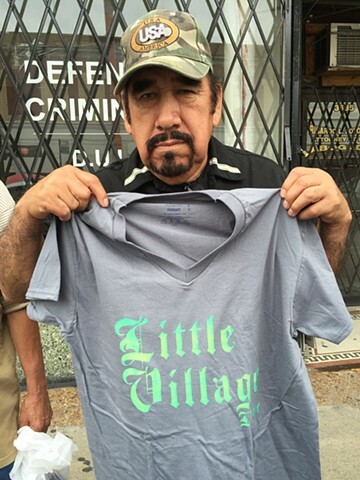 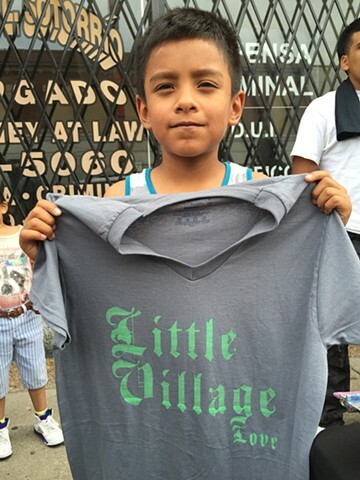 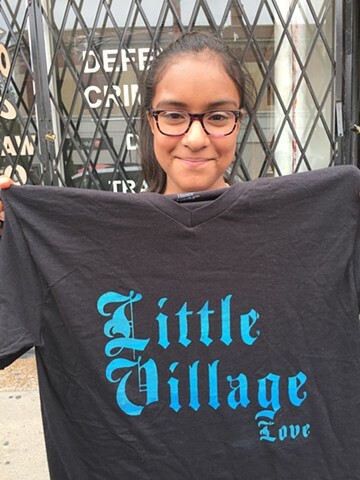 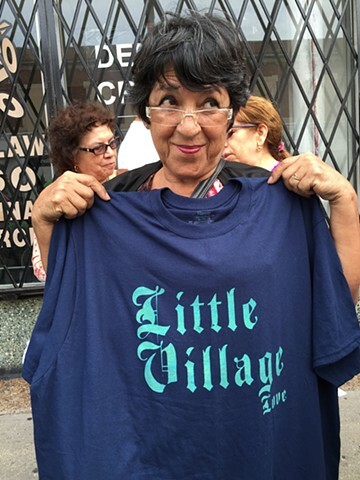 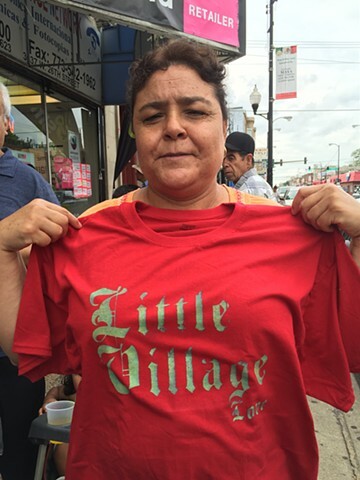 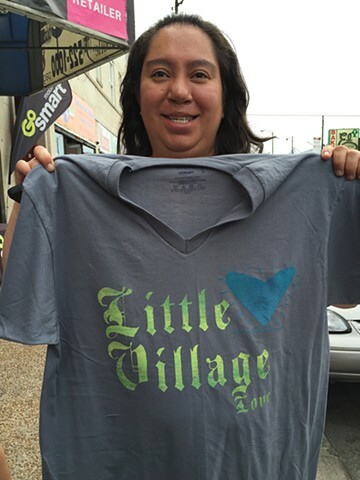 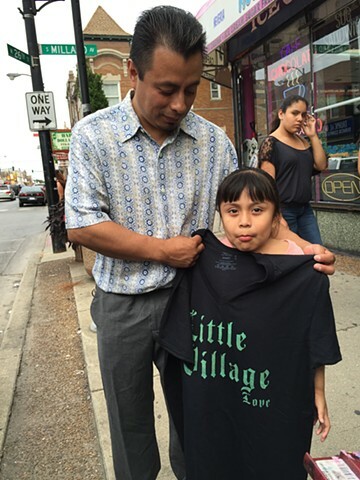 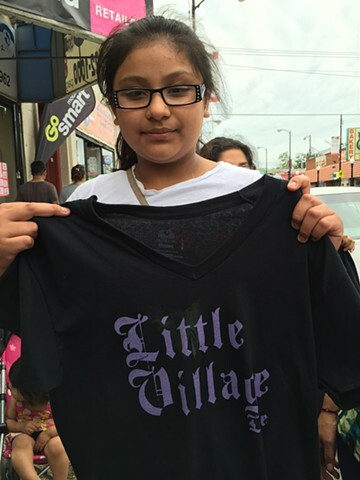 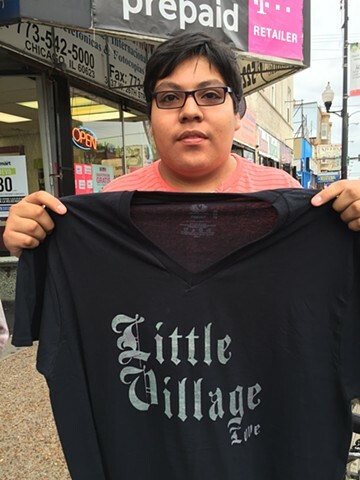 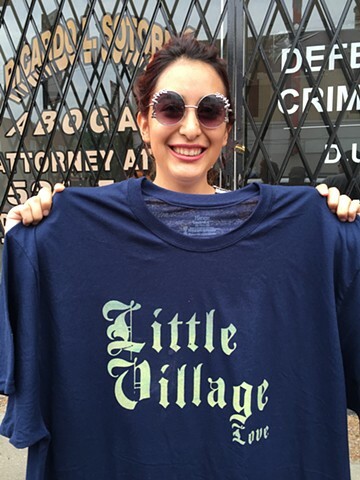 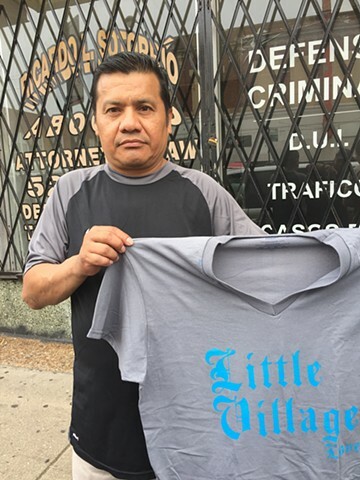 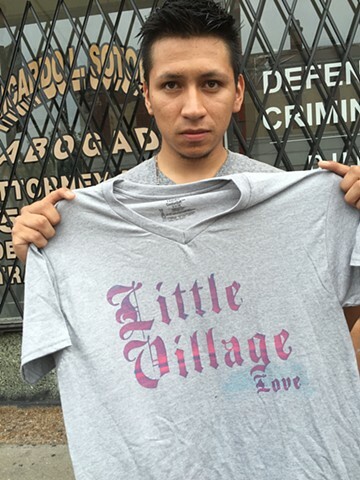 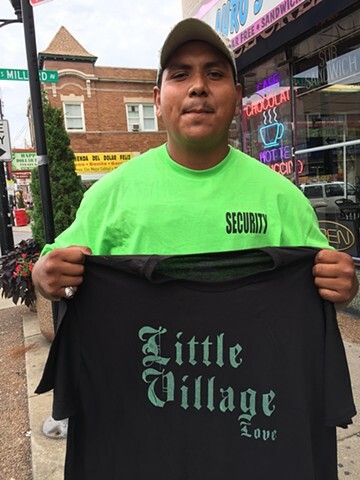 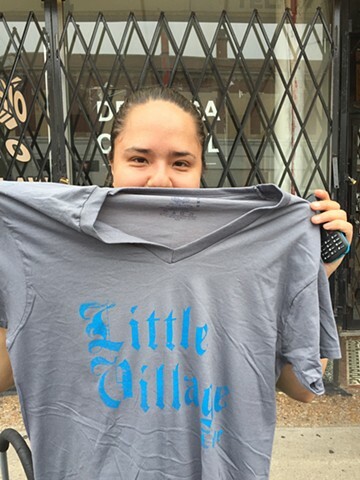 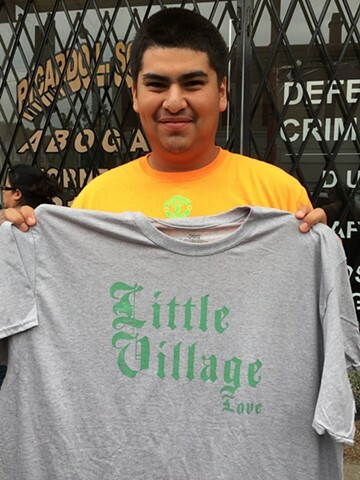 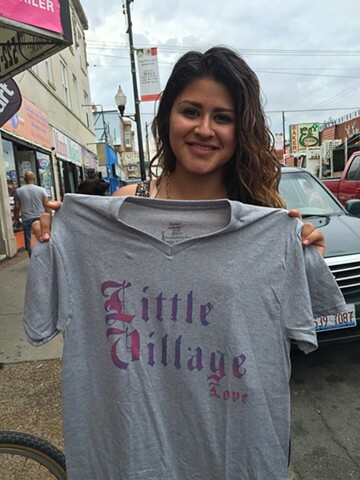 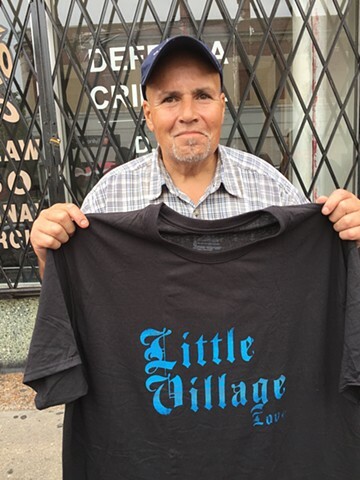 The Little Village Love T-Shirt is a project envisioned by community members in Little Village who wanted a workshop that focused on the pride they feel to live in a community full of love and opportunity. 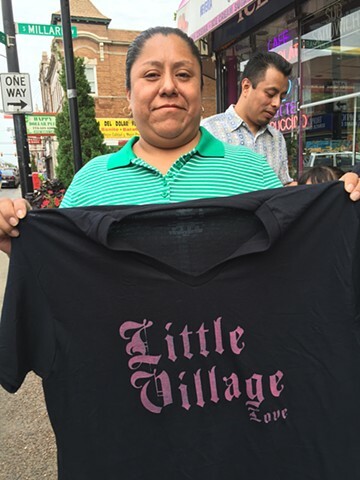 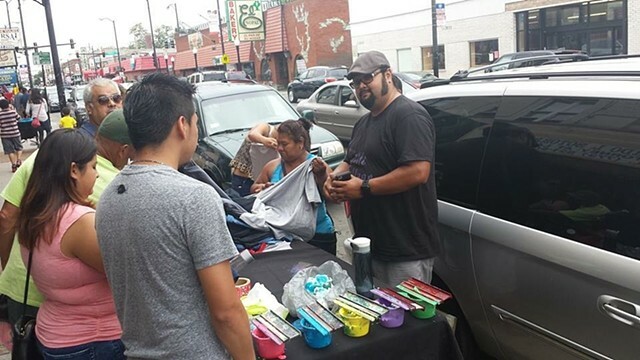 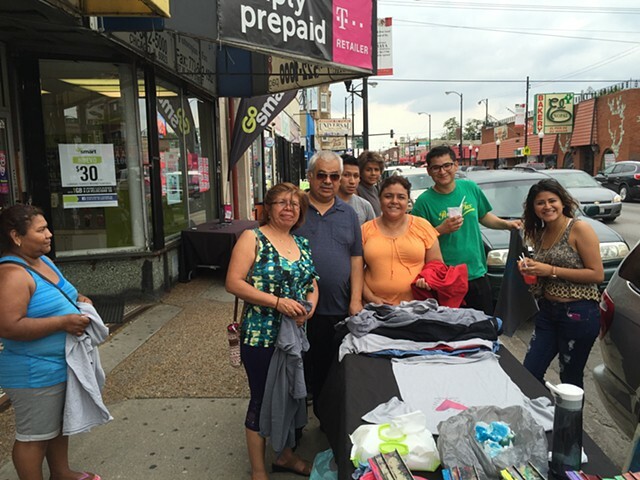 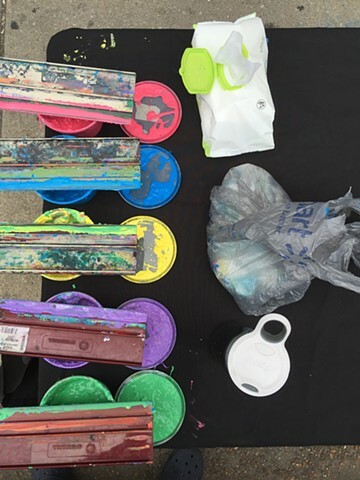 T-shirts were screen printed in the streets of Little Village by community members and given away for free while we discussed how art could be used to create change. 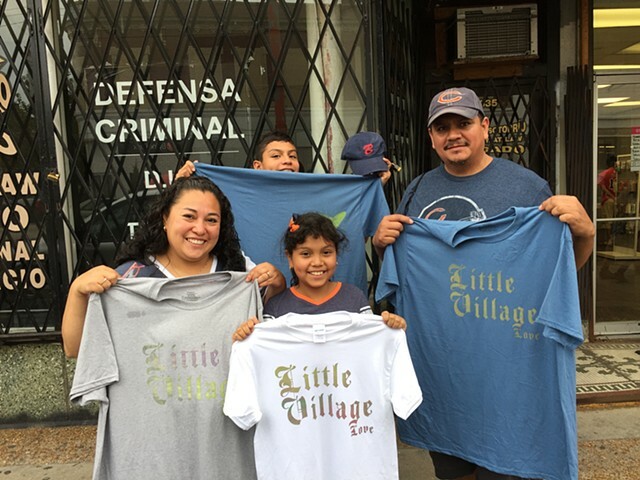 Through the workshop we attempted to acknowledge the challenges faced in the community while embracing the various cultural and familial anchors that the community provides to bring stability to our lives.